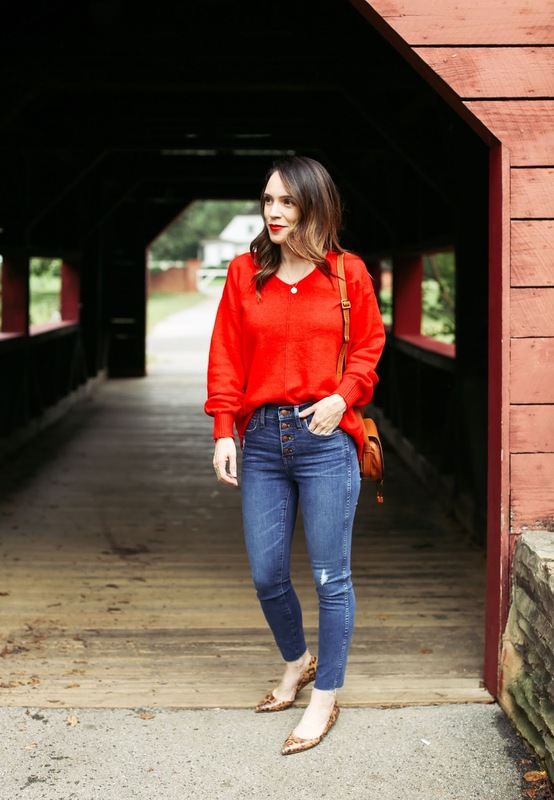 Sweater - H&M | Jeans - Madewell | Bag - Chloe | Shoes - J.Crew (old but similar here and here) | Necklace - Nashelle | Rings - Stone & Strand (c/o), Kendra Scott | Lipstick - Charlotte Tilbury "Tell Laura"
H&M is one of my go-to places to get fall and winter sweaters each year. I love to splurge from time to time, but H&M is great for basics and grabbing a simple sweater in a few different colors. Of course you probably know what drew me to this particular sweater - the color! I love all clothing that exactly matches my favorite shade of red lipstick. It's an oversized fit that's so comfortable and long enough for leggings. 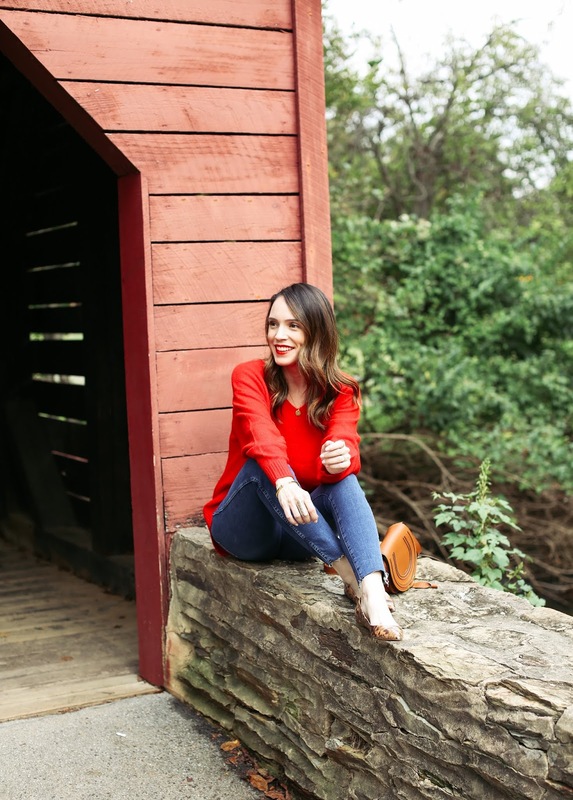 In addition to this v-neck, there were a few more styles on the site that come in this vibrant red color (for those that love it as much as I do): this chunky turtleneck, this simple crewneck style that would be great for the office (and it's $10!) and an off the shoulder style. My only gripe about H&M is that things sell out SO quickly which can be so frustrating. I've learned to just put whatever I like in my cart and check out immediately and then return it if it doesn't work. 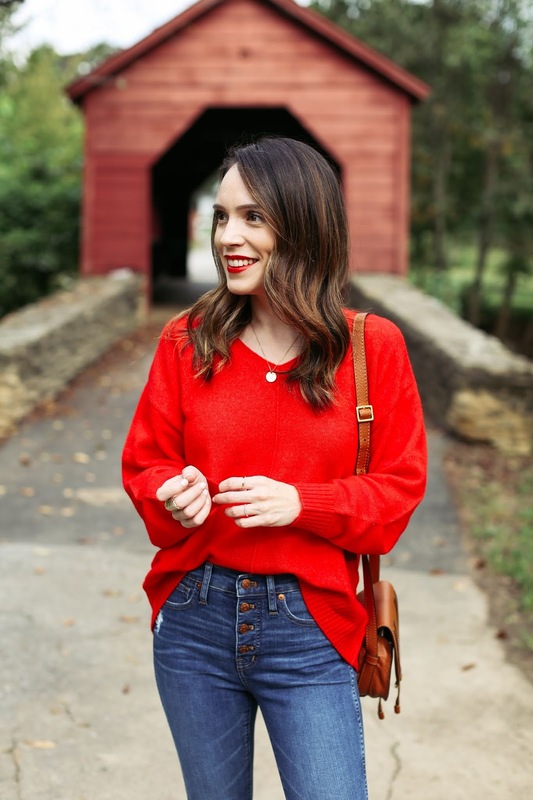 A few other sweaters to take note now on their site: this chunky ribbed turtleneck style is currently in my cart, I love the simplicity of this turtleneck sweater, the shoulder detail on this one is so feminine, a tunic sweater is a must for fall (great for leggings! 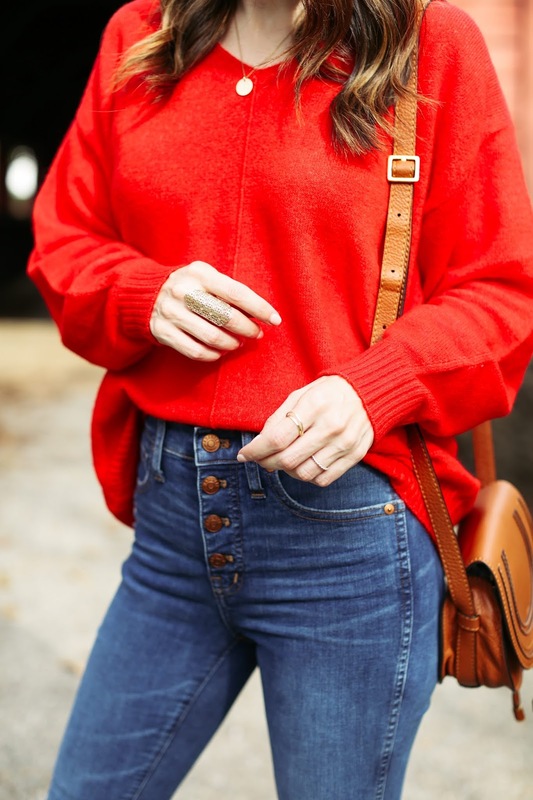 ), this cable knit sweater is so perfect and this colorblocked style caught my eye immediately. Shop more in the widget below. 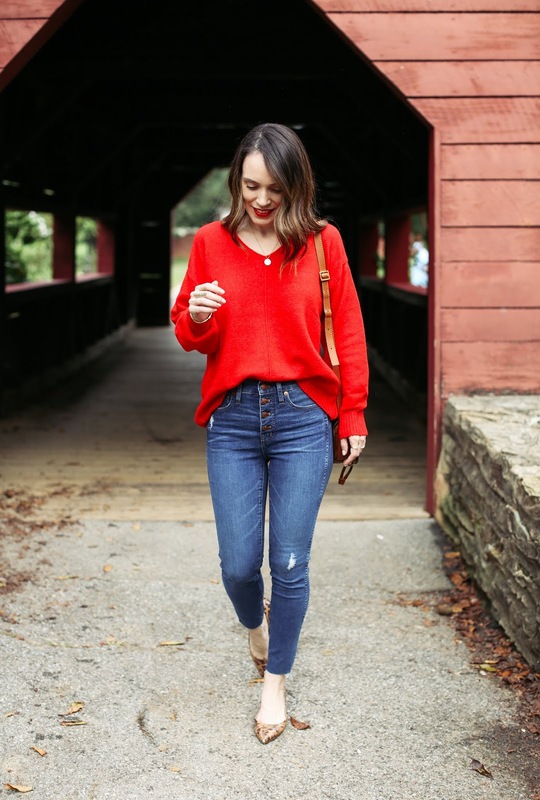 Where is your favorite place to shop for fall/winter sweaters? Hi Sylvie! I have not checked LL Bean in forever, but I agree with you that they have such classic pieces. Land's End too! I think I may peruse the LL Bean site tonite - thanks for the recommendation! !